Expendable bathythermographs were used to derive temperature/depth profiles along a transect across the Agulhas basin, the Africa/Antarctic basin and the N laud rise between Cape Town and Fimbulisen in Antarctica. A second transect was carried out between Fimbulisen and Cape Town via Bouvet Island. (i) Diurnal/nocturnal alterations in pH as a consequence of changes in photosynthetic activity of phytoplankton. The ship’s course allowed this to be extended by considering diurnal fluctuations under polar and temperate light regimes. Monitoring of pH at two hour intervals over 24-90 hours was carried out in McMurdo Sound, Antarctica; off Sydney; off San Nicolas Island, California and in Adventfjord, Svalbard. (ii) Latitudinal changes in pH were examined by monitoring every four hours (except 4 a.m. in conjunction with collection of meteorological data and measurements of surface temperature. Transects were carried out from New Zealand to from Antarctica; Sydney to Los Angeles; Yukon River mouth to Vancouver; Caribbean to England; England to/from Svalbard; Svalbard to/from the pack-ice of the Arctic Sea. (iii) As the working hypothesis was that photosynthesis can lead to measurable pH changes even in an open system such as the deep sea, depth associated pH changes between the surface and zoo m were measured at 50 m in intervals on a series of stations between New Zealand and Antarctica. A bathythermograph with gold plated sides was used to determine whether any PH changes were associated with the presence of a thermocline. Phytoplankton productivity rates were measured using light/dark bottles with a modified Winkler technique incorporating a photometric and point detector. Samples were incubated for 24 hours in situ after bathythermograph and salinity measurements had been taken. Sub-samples were filtered with glass fibre filters for subsequent chlorophyll a analysis. Productivity was measured in three high Arctic marine systems: the fjords of Svalbard; in the pack-ice of the Arctic Sea; in the open sea both at high latitudes (Greenland and Norwegian Seas) and in the North Sea. Zooplankton distribution was examined by using an N 100 Discovery pattern net for surface trawls in the Southern Ocean along 4 transects: Cape Town to/from Fimbulisen; New Zealand to/from McMurdo Sound. 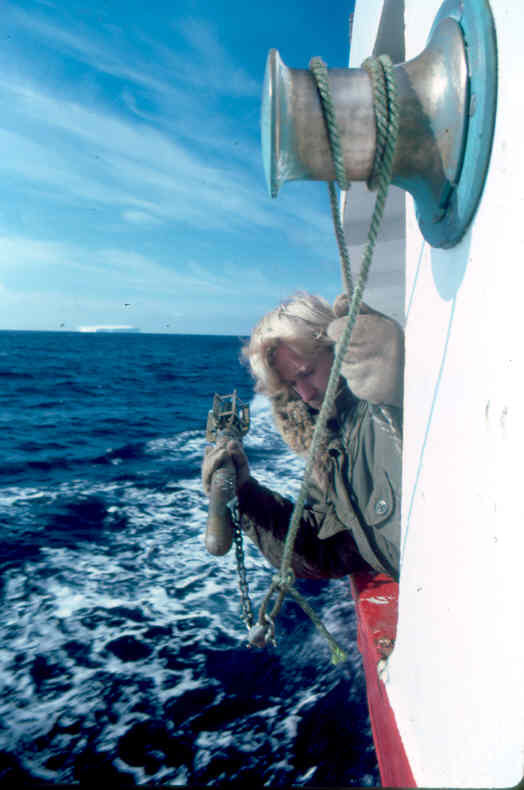 Salinity and temperature measures were taken and a Continuous temperature recorder used to locate the Antarctic convergence. Samples were preserved in formalin and after sorting, counting and identification to species level biomass values were obtained by drying to constant weight at 6o°C. Specimens of the euphausid Euphausia Superba were sexed and aged for detailed information on populations of this important species. Selected sub-samples were preserved in Analar grade formalin buffered with calcium carbonate. These specimens were handled only with plastic instruments and returned to Cape Town for heavy metal analysis by flame spectrophotometry following digestion by nitric and perchioric acids. 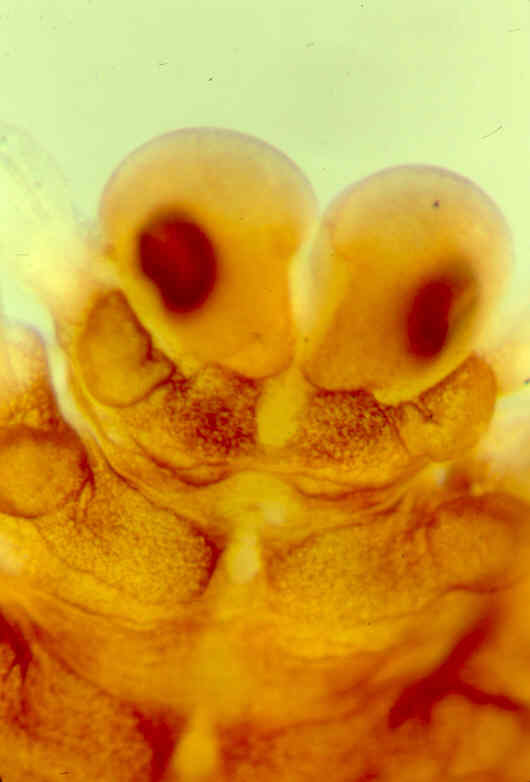 Specimens of 15 species in a series of samples were analysed for 9 metals in this manner. 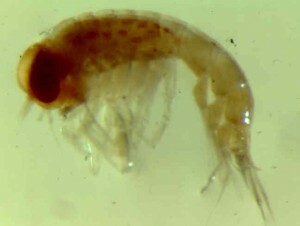 Temperature acclimation of 2 Arctic amphipods (Gammarus setosa and Onisimus litoralis) were investigated by acclimating individual animals at different temperatures in reagent bottles with ground glass stoppers and analysing changes in oxygen tension over 24 hours using the Winkler method. Results were expressed in terms of O2 consumption per gramme dry weight. Three hours of bird observations, during which all visible birds were counted and where possible identified, were carried out each day while at sea. The bird watches were each one hour long, at the same time each day, and divided into consecutive ten minute periods. Watches were maintained over 360° from the bridge deck (3.5 m above sea level) using 8 x 60 binoculars. Records of the start/finished positions of each watch as well as visibility, ship’s speed, etc. were maintained. Return voyages (e.g. 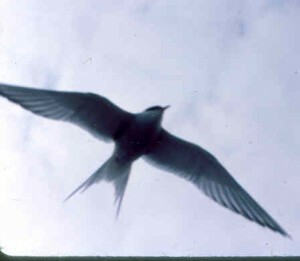 Capetown, to/from Fimbulisen), were treated as single passages for the species lists and gave additional data on seasonal shifts in distribution. 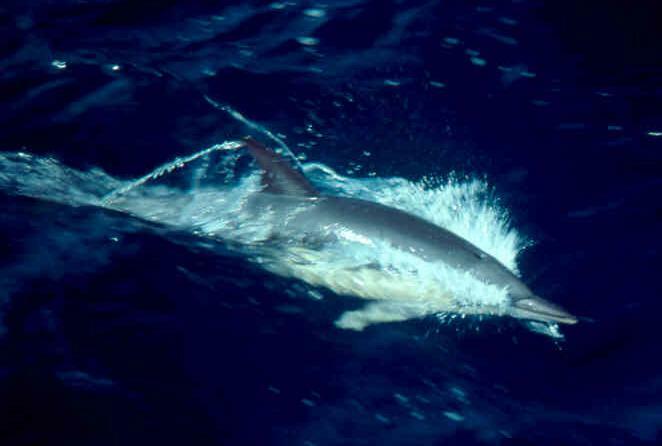 Species lists and distribution tables were drawn up for 10 major sea passages: Cape Town to/from Fimbulisen; Christchurch to/from McMurdo Sound; Sydney to Los Angeles; Los Angeles to Vancouver; Vancouver to/from Yukon River mouth; Vancouver to Panama; Panama to Southampton; Southampton to Svalbard; Svalbard to/from pack ice of the Arctic Sea; Svalbard to Greenwich. 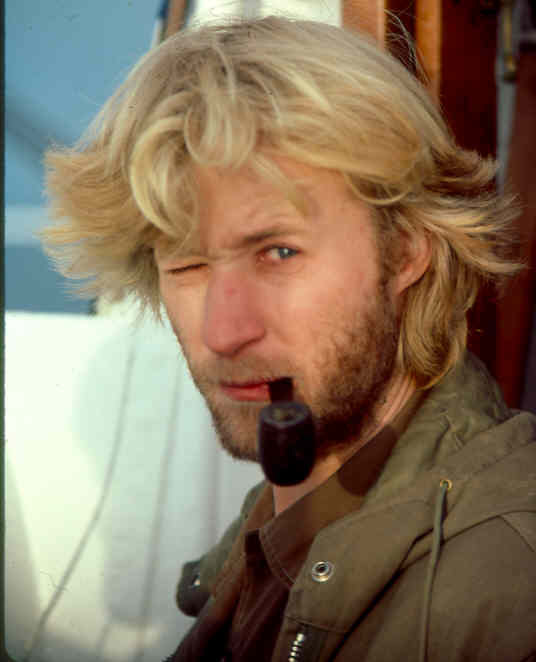 Marine mammal observations were made in conjunction with bird watches as well as on an incidental basis. Identifications were made where possible along with position and meteorological data. 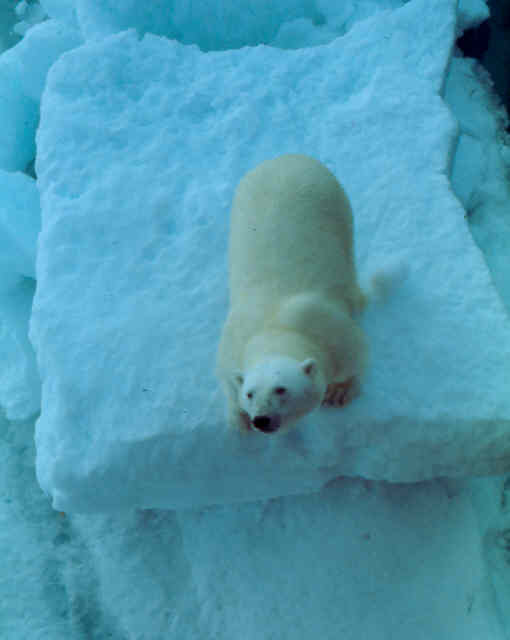 Regular sightings of polar bears (Ursus maritimus) on the Arctic pack-ice gave information on population density. A total of 37 species of Cetaceans, seals, etc. were at least tentatively identified.